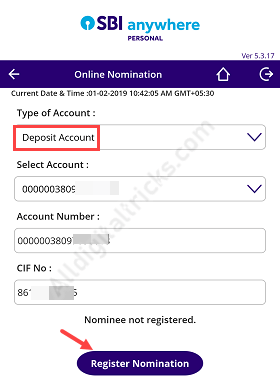 If you have FD (Fixed Deposit) account in SBI and want to add a nomination for your fixed deposit account then you don’t need to visit Bank. You can register nominee for SBI fixed deposit account online. SBI fixed deposit (FD) account can be opened online using net banking and mobile banking. If you have already SBI FD account and nominee not registered then you can register it online. 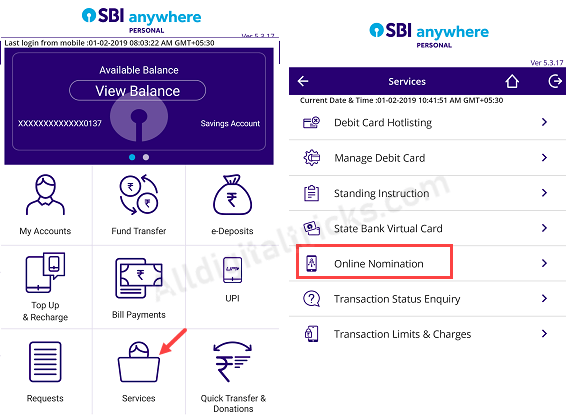 You can add your parents/son/wife or others as nominee for your SBI FD account. Follow below two methods and add the nomination for your SBI Fixed Deposit online. SBI customers can use Internet banking and mobile banking online facilities to register a nominee for FD account. Open SBI Mobile Banking application and login to your account. Now tap on Services and next tap on Online Nomination. 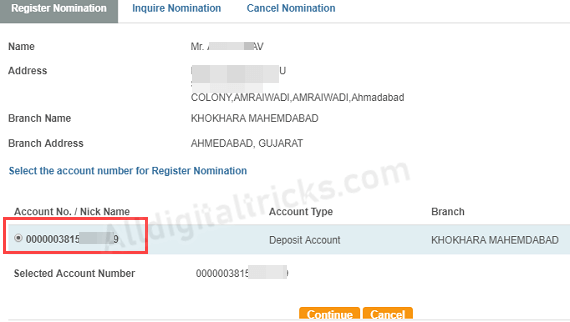 On the next screen, select Deposit Account in account type, select Account number, and tap on Register nomination. 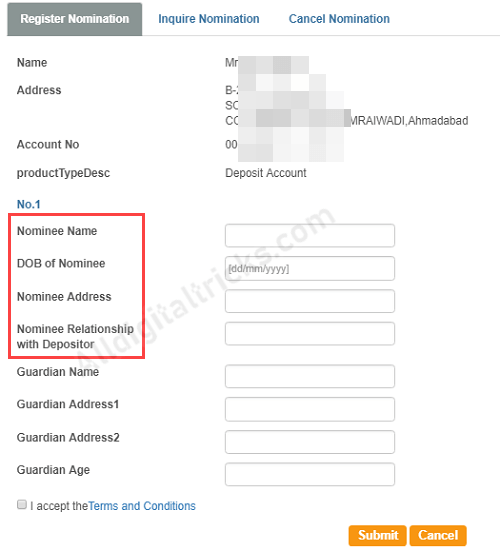 And now enter nominee name, DOB, address and relationship details. Now submit your request. 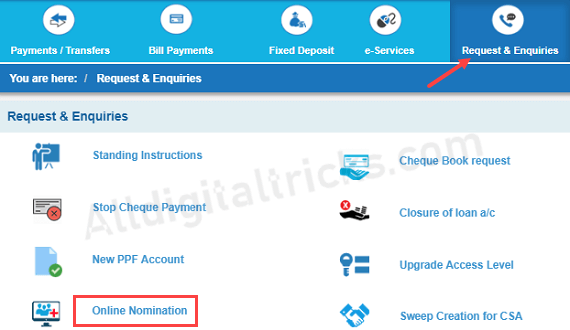 SBI FD account holders can also use net banking to add nomination in FD account. Open SBI Internet banking login page and enter your User ID and login password. Click on login button. Now click and open Request & Enquiries and click on Online Nomination. Next page select your FD account number and proceed to next. 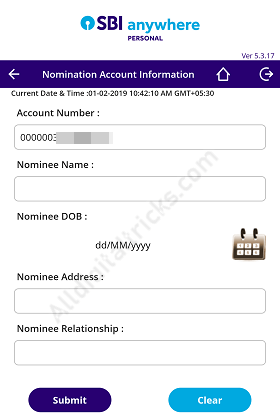 Now enter nominee name, DOB, address and your relationship with the nominee. Now submit your application. You can view added nominee details by clicking on Inquire nomination tab. Hope you now understand, how to add nominee online for SBI Fixed Deposit (FD) account. SBI FD nomination can be done through mobile banking and net banking.